How can we make sure that our children are learning to be creative thinkers in a world of global competition - and what does that mean for the future of education in the digital age? 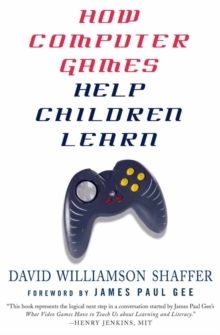 David Williamson Shaffer offers a fresh and powerful perspective on computer games and learning. How Computer Games Help Children Learn shows how video and computer games can help teach children to build successful futures - but only if we think in new ways about education itself. 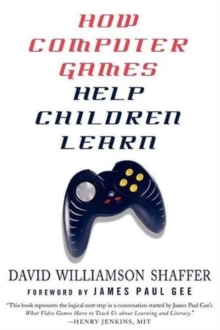 Shaffer shows how computer and video games can help students learn to think like engineers, urban planners, journalists, lawyers, and other innovative professionals, giving them the tools they need to survive in a changing world. 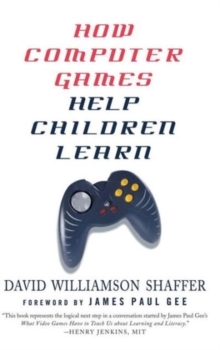 Based on more than a decade of research in technology, game science, and education, How Computer Games Help Children Learn revolutionizes the ongoing debate about the pros and cons of digital learning. Pages: 242 pages, 9 Illustrations, black and white; XIII, 242 p. 9 illus.